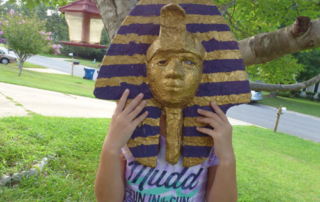 At Take Time for Art, we create one of the best art curriculums for homeschoolers because we link it with history. That means that we tell the story of history using great iconic art images that you want your children to remember as well as art images that are lesser known but really interesting. The ancient Egyptians were a fascinating people! 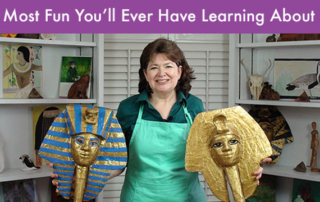 Take a trip with us back in time to ancient Egypt through our streaming video curriculum and learn about them through their art and architecture. 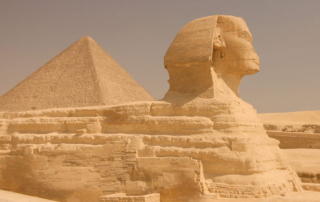 Along the way we’ll make some great art projects based on the art of their ancient tombs. Great day at the NCHE Homeschool conference! Thanks to all who stopped by and looked at our art curriculum. Thanks also to our new customers! We received lots of encouraging words from many lovely people today. Thank you for visiting our booth and confirming our venture!